On August 9th, HUECU teamed up with Partners HealthCare, the location of our newest branch to once again host a card making event. With the help of Partner’s Revenue Cycle Operations’ Employee Activity Committee, we crafted cards to help brighten the days of as many hospitalized kids as possible. 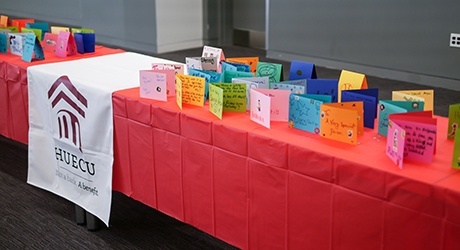 Over 230 cards were crafted and will be shared with hospitalized children at Boston Shriner’s Hospital for Children, Boston Children’s Hospital, Dana Farber Cancer Institute, MGH Hospital for Children, and Spaulding Rehabilitation Hospital. We thank all the members of the Partners HealthCare community for their support of this event and for all the messages of encouragement!